The exclusion of the crash deaths will likely be scrutinized by two congressional committees and the Justice Department. DETROIT — General Motors excluded the Saturn Ion from a Feb. 13 recall for faulty ignition switches after engineers inexplicably failed to look at fatal crashes involving the compact car. The cars were recalled two weeks later, after another inquiry found four crashes involving 2004 Ions that killed four people, according to a GM chronology of the recall posted on the National Highway Traffic Safety Administration website Wednesday night. According to the chronology, GM employees were told about most of the Ion crash deaths within two weeks of when they occurred. So GM knew about the deaths but still failed to consider them until this year. The exclusion of the crash deaths will likely be scrutinized by two congressional committees and the Justice Department, all of which are investigating why it took so long for GM to recall the cars. The company has acknowledged knowing about deadly ignition switches at least a decade ago, yet it failed to recall 1.6 million compact cars until last month. In addition, NHTSA is investigating whether GM withheld information from the safety agency or didn’t disclose it as quickly as required by law. The chronology didn’t say why the engineers excluded the Ion crash deaths from their inquiry, which took place in 2011. GM spokesman Greg Martin said he could not comment on why the Ion crashes were left out. He said GM added to the recall after a review of data including crashes. “Today’s GM is fully committed to learning from the past while embracing the highest standards for quality and performance now and in the future,” he said in a statement. On Feb. 13, GM announced the recall of more than 780,000 Cobalts and Pontiac G5s (model years 2005-2007). Two weeks later it added 842,000 Ion compacts (2003-2007), and Chevrolet HHR SUVs and Pontiac Solstice and Saturn Sky sports cars (2006-2007). All of the recalled cars have the same ignition switches. The company said the ignition switches can wear from heavy, dangling keys. If the key chains are bumped or people drive on rough surfaces, the switches can suddenly change from the “run” position to “accessory” or “off.” That cuts off power-assisted steering and brakes and could cause drivers to lose control. Also, the air bags may not inflate in a crash and protect the driver and passengers. The company is urging people not to put anything on their key rings until the switches are replaced. The chronology also hints at problems with the ignition switches surfacing as early as 2001 as the Ion was being developed. But engineers thought they had fixed the trouble with a design change. The company also had reports of Ions stalling in 2003 because of ignitions that could slip unexpectedly out of the run position. Also Wednesday, GM said it would offer to owners of the recalled cars free loaner cars and $500 toward a new GM vehicle. The offers are effective immediately. Owners will be able to use the loaner cars until parts arrive at dealerships to replace the faulty switches. They are expected around April 7, GM said. The cash allowance offer runs through April 30. GM now counts 12 people as having died in crashes linked to the problem. The company said Wednesday that one victim had been double-counted. 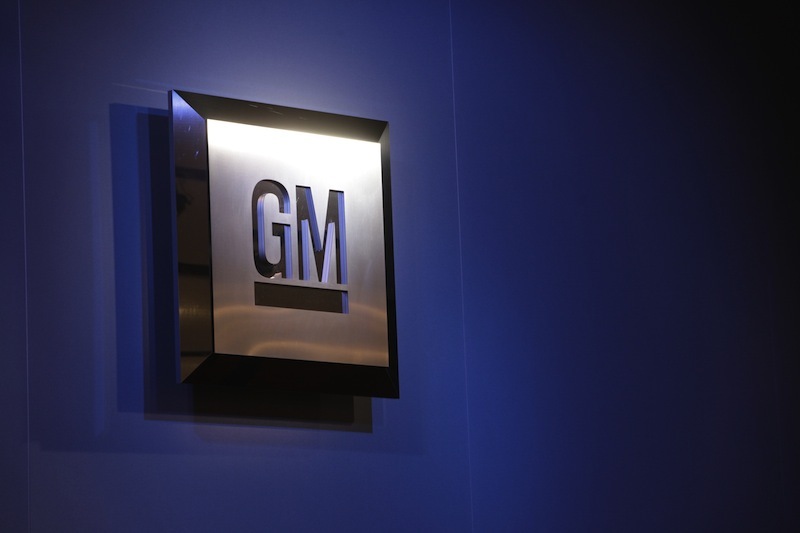 Shares of GM have fallen 7.3 percent this week amid word of new investigations. The stock fell 32 cents, or 0.9 percent, to close at $34.86 on Wednesday.